Great to have Alex from Sulex to work on our renovation. Full of great ideas, up to speed with latest trends, and super reliable. Great guy as well!! 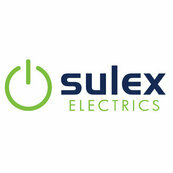 Surlex Electrics was commissioned for renovation works in our residence. They responded immediately to our request and completed the works as scheduled. Thanks for taking the time to share your feedback. We really thank you for the support you and your family have given our business. Thanks again and hope you guys have a stellar 2018! As a builder, it can be very difficult to find reliable and fairly priced tradesmen who take pride in their work.